Last week we had the amazing 1650CC Indian in the shop and then what do you know the very next bike we worked on could not be more different. 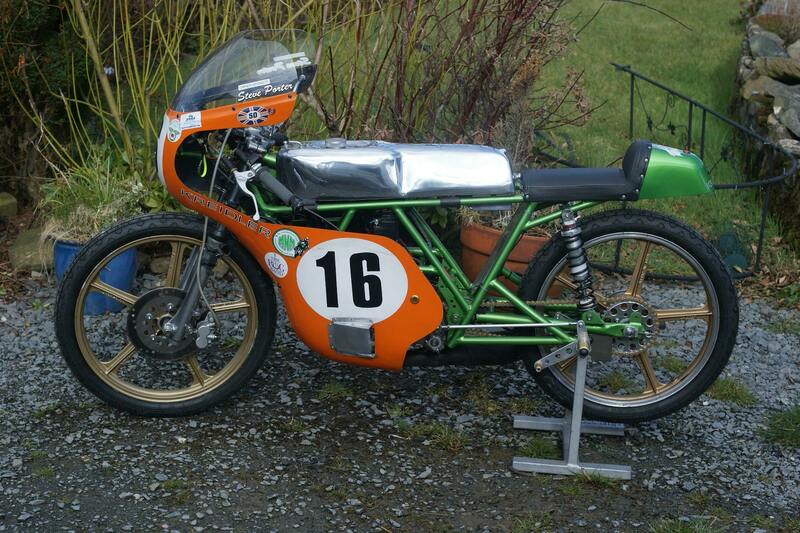 Now it is the turn of Steve Porters fantastic little 50cc Krieidler racer. in for a new lightweight alloy tank. Again this is another “one off” build for us. From American muscle to German precision. but both works of art in their own way. With both bike here I could not resist taking a few side by side pics.